To get your brand seen by more potential customers, use our secure gift voucher templates to boost sales and promote your diverse array of events and products. By using spring inspired online gift vouchers you can make gift voucher books that are unique to your business or venue by incorporating unique designs which compliment your brand. Alternatively, you may also choose voucher designs from our business voucher template collection if you don’t feel like doing the voucher design yourself. Everybody loves a gift voucher, especially in spring following the bleak mid-winter period where spending tends to dwindle. So this spring why not excite your customers with an offer they can’t refuse by providing them with a seasonally inspired theme. Make use of our colourful voucher templates which have been specially created by design experts and boost your customer’s desire to spend with bright spring-themed vouchers. When you produce gift vouchers, not only are you making the recipient feel great you are also providing a platform on which your brand is the focal point. As the recipient uses the gift voucher they are constantly reminded of your brand fixing the company name securely in their mind as well as spreading the good news about your brand through word of mouth. What’s more, if the gift vouchers have an appealing spring theme then the customer is even more likely to positively associate with your brand. 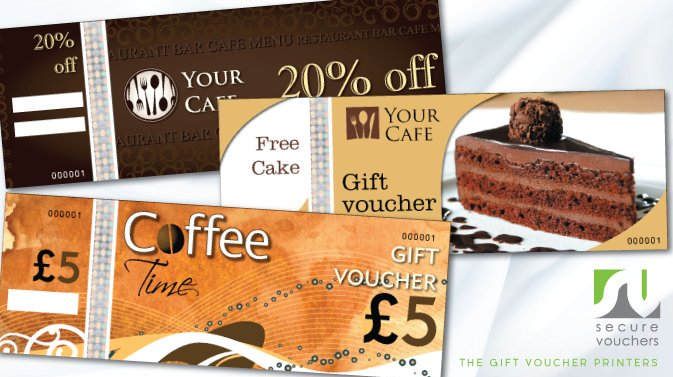 Unlike many other types of gifts, our vouchers are unique in the way that they can be physical vouchers or online vouchers. As so many of us are doing our shopping online nowadays a unique online spring-themed gift voucher is the ideal present for those who are tricky to buy for. Why are Secure Vouchers at the top of the game? The best part of using our gift voucher templates and business voucher templates is that they have been created by anti-fraud experts who ensure the vouchers will be used responsibly and safely by customers and that repeated use is disabled. So why not use one of our templates – or call us for a chat about our design services. You can create your own vouchers, or our team of gift voucher design experts can give you a helping hand. If you’d like to find out more, then please feel free to contact our friendly team who will be happy to help. You can call us for free: 0800 689 3235.